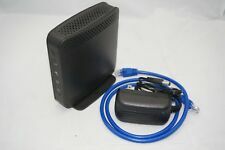 AT&T CISCO 3G MicroCell DPH151-AT Wireless Cell Phone Signal Booster ATT 4035800. 2 x RJ-45 cables and power adapter included. Condition is Used with slight yellow discoloring to white sides. Working when taken offline 7 years ago. Needs reactivation through your AT&T account. Shipped with USPS Priority Mail. IN EXCELLENT WORKING CONDITION IN BOX. HAS BEEN TESTED AND WORKS. Trending at $165.00eBay determines this price through a machine learned model of the product's sale prices within the last 90 days. ATT Microcell signal booster - Cisco DPH154. Condition is Used. Shipped with USPS Priority Mail. Perfect condition, in original packaging with all cables and instructions. ATT Microcell Signal Booster - Cisco DPH154. Condition is Used. Shipped with USPS Priority Mail. Used, works fine. One side a bit toned. Includes ac power adapter. No instructions or cords. LIKE NEW AT&T Microcell Signal Booster - Cisco DPH-154. Condition is Used. Shipped with USPS Priority Mail. AT&T 3G MicroCell Wireless Cell Phone Signal Booster DPH151-AT. Condition is New. Shipped with USPS Priority Mail. AT&T Cisco 3G MicroCell Wireless Cell Phone Signal Booster. Condition is Used. Shipped with USPS Priority Mail. AT&T Microcell Wireless 3G Cell Signal Booster Tower Antenna * Made by Cisco. Condition is Used. Comes with power cord and Ethernet cable. Shipped with USPS Priority Mail. AT&T CISCO 3G MicroCell DPH153AT Wireless Cell Phone Signal Booster ATT . Also includes antenna with 25’ cord. Condition is Used. Shipped with USPS Priority Mail. AT&T 3G Microcell Model: DPH153-AT Perfect working condition. Condition is Used. Shipped with USPS Priority Mail. SALE IS FINAL! COMPLETE IN BOX! Cisco AT&T Microcell Wireless Cell Signal Booster Tower Antenna DPH-154. Condition is Used. Shipped with USPS Priority Mail. We used to need it where we lived before. Pictures are of the item you will receive. Use less than a week. Trending at $184.12eBay determines this price through a machine learned model of the product's sale prices within the last 90 days. See photos! Comes in original box with power cord. AT&T Att 3G Microcell Signal Booster - Cisco Dph151 Cellular. Condition is Used. Shipped with USPS Priority Mail. We will generally not repair an item nor will we generally substitute another item for the original. Freight quotes are approximate. Is any special handling required?. Do you require a lift gate for unloading?. AT&T CISCO 3G MicroCell DPH153AT Wireless Cell Phone Signal Booster ATT . Condition is Used. Shipped with USPS Priority Mail. We have for sale: Cisco AT&T Microcell Wireless Cell Signal Booster Antenna DPH-154 ONLY NO ADAPTER. Microcell tower NOT attached to any account. 1-MICROCELL CELL SIGNAL BOOSTER. Our goal is to keep you satisfied and resolve any issues you may have. Trending at $92.24eBay determines this price through a machine learned model of the product's sale prices within the last 90 days. This AT&T Microcell is built by Cisco Systems, a leader in cellular network technology. Setup is quick and easy - just follow the 10-minute setup "quick-start" guide which you can download online and it will be up and running typically within 2 hours of setup. CISCO AT&T 3G MICROCELL SIGNAL BOOSTER POWER CORDS USER GUIDES/MANUALS - LIKE NEW CONDITION. AT&T Microcell in great condition. AT&T Cisco 3G MicroCell, Cell Phone Booster. Includes the booster unit, power cord and Ethernet cable. if you'd like to solve the problem of insufficient indoor cell-signal performance, check out the many affordable AT&T MicroCell mini cellphone towers that are available on eBay. Easy to set up and compatible with a wide array of cellphone brands, the MicroCell enhances AT&T cell signal power, reach, and consistency. How does an AT&T MicroCell signal booster work? The AT&T MicroCell works with your existing broadband service through AT&T. The service enhancement applies to voice calls, texts, and cell-based data applications, such as internet browsing and picture messaging. The boosted signal covers an area of roughly 5,000 square feet or up to 40 feet in every direction of the mini tower. Does this interface with cellphone handsets? Yes, both new and preowned MicroCell signal boosters interface with cellphone handsets. The handsets must be at least 3G- or 4G-enabled, and they must have AT&T wireless service. The service must be broadband, boasting minimum speeds of 1.5Mbps downstream and 256Kbps upstream. All of the basic mobile handset services from AT&T are still usable when you're connected to the AT&T MicroCell. Each MicroCell signal booster can host up to 15 separate lines and four separate simultaneous sessions. Can you use an AT&T MicroCell with any cellphone brand? What comes with the AT&T MicroCell? A new AT&T MicroCell would most likely include the MicroCell tower, the MicroCell wall adapter, an Ethernet cable for connection with your router, and a user guide. The guide is also available free online. The large array of available AT&T MicroCell products on eBay includes gently used and new AT&T MicroCell products. Product titles and descriptions on eBay are particularly transparent, specifying what's in the box so that there are no surprises. The required peripherals, such as power charger and Ethernet, are standard, compatible, and also available on eBay. Content provided for informational purposes only. eBay is not affiliated with or endorsed by AT&T.